The Chinsegut Big Pine Tract is a part of the Chinsegut Wildlife and Environmental Area. It covers 442 acres, and is managed by the Florida Fish and Wildlife Conservation Commission. The area is home to one of the few remaining old-growth long leaf pine forests left in Florida. 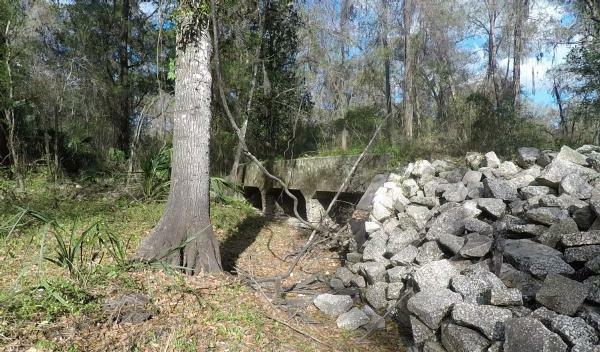 The main trailhead is along the east side of Old Crystal River Road north of Brooksville. Facilities at the trailhead include ample parking, a restroom, picnic tables, and an information kiosk. Hiking trails are well marked and maintained, and mostly shaded. Bicycles and dogs are not permitted on the trails. Two loop trails are available within the Big Pine Tract; the Tortoise Loop is about 8/10 of a mile long, and the Longleaf Loop is 1.25 miles in length. The short Hammock Trail will also take you through a hardwood hammock. The Burn's Prairie Spur trail extends to the north for almost a half mile from the Longleaf Loop. The Prairie-to-Pines trail connects the Big Pines Tract and the Conservation Center Tract of Chinsegut WEA - for those who want to do a grand tour on foot. It's south terminus is along the Hammock Trail, and it extends north for 1.8 miles to join the trail system in the conservation Center Tract. The historic State Road 5 bridge can be seen along this route.